The MLT is an important part of your doing Business and studying abroad in Myanmar. Taking MLT also improves your general Myanmar language skill. The MLT measures your ability to use and understand Myanmar language in daily life and Business since. It evaluates how well you combine, especially your listening and speaking. Who Takes the MLT ? We provide MLT to Myanmar language learner, like below. Students and workers to make sure their Myanmar language level. Where and When Can I Take the MLT? 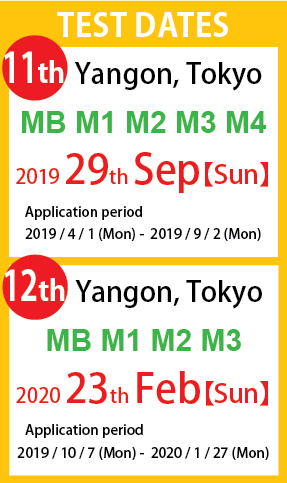 First MLT will be held on 16thAugust (Sat) at —–. To get more detail of information, check below URL. What Does the MLT Test Cost?